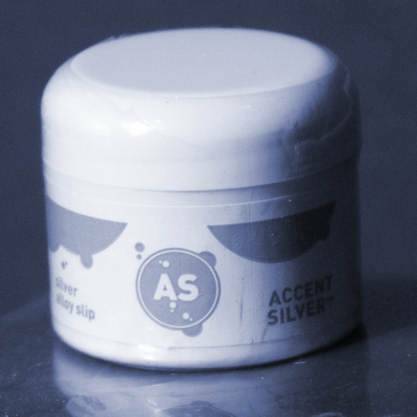 Accent Silver 5 gram bottle. Now you can add Silver accents to your COPPRclay, BRONZclay and actually any thing made of copper based metal! Full instructions included. You should buy the kit you need the special container to fire this product and a digital kiln!